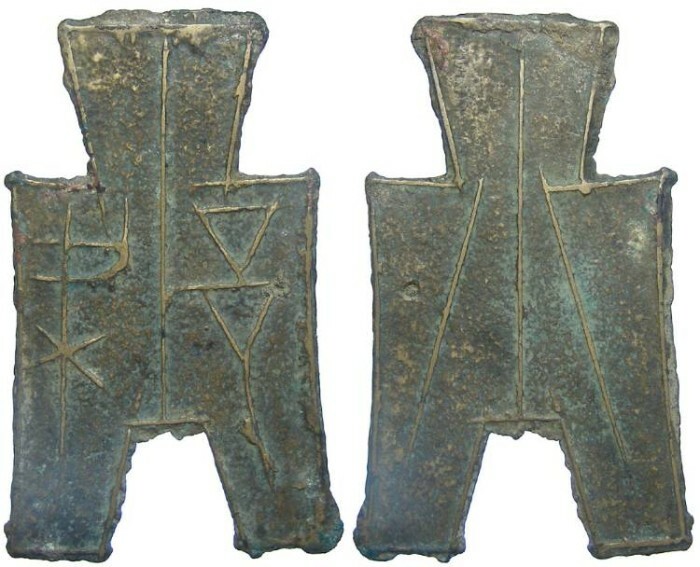 China, Zhou Dynasty. State of Liang. "LIANG" square foot spade. ca. 350 to 250 BC. 1/2 Jin. Mint : Hartill reads this as "LIANG" naming the state of Liang. Schjoth read it is "Ch'ieng Yi". Reference : Hartill 3.226. FD-184. Schjoth-32. Size : 46.8 x 26.5 mm. Weight : 5.41 gram. Grade : VF with very clear characters, slightly over cleaned exposing some bare metal on the high points, but actually rather attractive this way. Obverse : "Liang" (please see the note above about this mint).